I was going to install “Tune In” to try it out because so many folks raved about it. But, for whatever reason the app wants to know my phone status and identity. I refuse to install any app that is snooping on me in this way. IMHO it’s a major computer security problem. I found that many streaming audio apps “snoop” on you. I have installed the CBC Radio player which doesn’t snoop. In my home, I simply use a dedicated GNU/Linux computer and I usually use the “Banshee” music management software for streaming audio and podcasts. I then simply hook up a low power FM transmitter tuned to an empty frequency (fortunately these days there is one) and then just listen in on an FM radio in other parts of the house. I certainly would consider checking these out. I would side for the Logitech only because many of my friends that are “in the know” with wi-fi radios swear by them. You’ll have to comment on your thoughts if you purchase one. Hello Thomas. Are you considering trying out Internet radios like Grace and Logitech make? 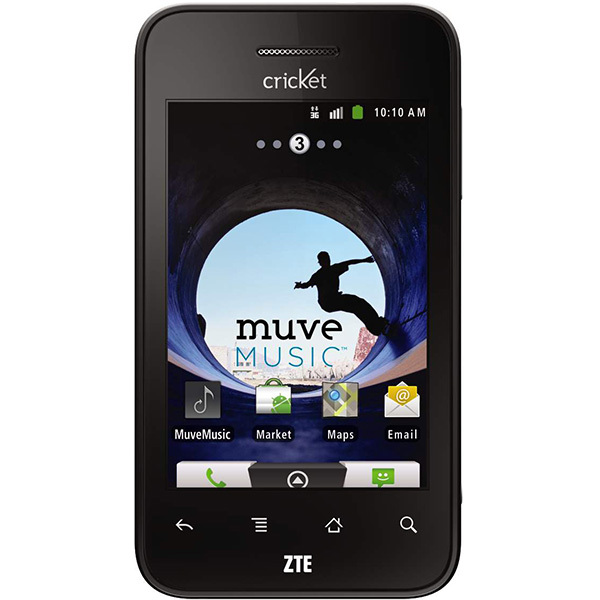 I’m going to buy a G-3 shortwave on Amazon, but am also considering adding an Internet radio to my order. I haven’t yet. Thanks for the feedback, though. I’ve placed all of my attention this week ion raising a large horizontal delta loop at my house. It required a powered outdoor antenna tuner (powering it with a small PV panel and 9aH battery). Almost complete now. My wife stole the “Rock Out” speaker and has been using it with her iPad via TuneIn and listening to Brazilian stations. She likes the audio without the mod, but I may still try it. I do tend to void warranties! 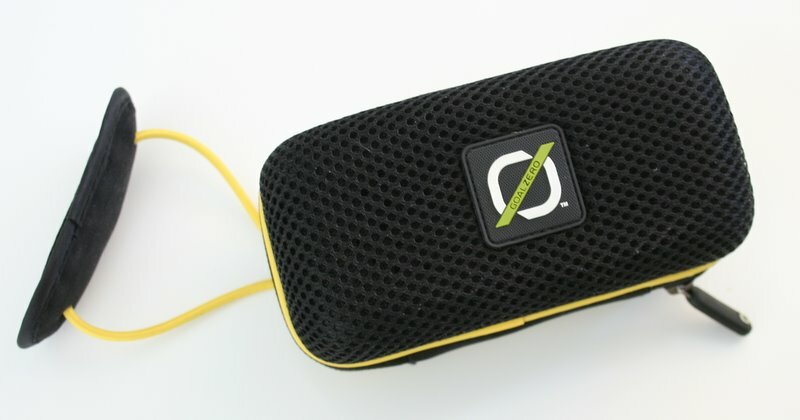 Hi Thomas, I found a Goal Zero “Rock Out” speaker locally and have been enjoying it for Internet radio for a week now. 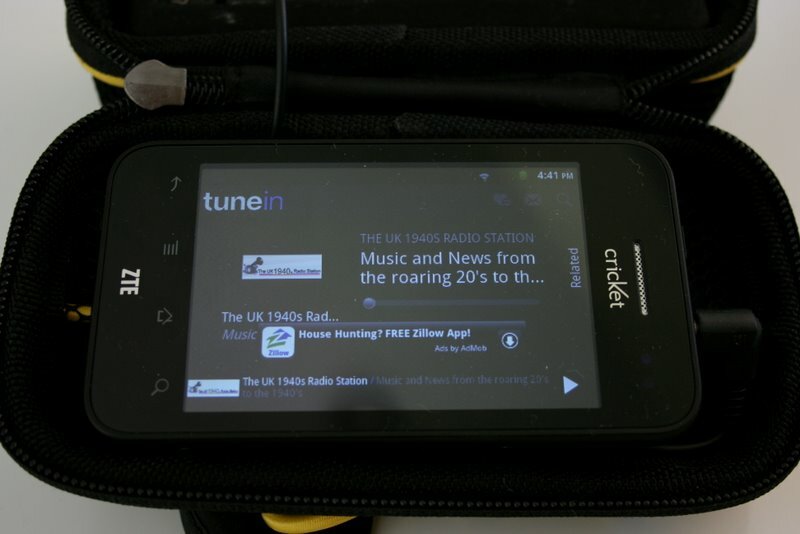 I use my backup mobile phone, a HTC Radar (WP7 OS) for accessing the TuneIn app via wi-fi. This is a great little speaker and thanks for mentioning it in your article. I immediately pried open the internals on the Rock Out speaker to do the modification, but eventually decided to leave it in stock form. I find the audio almost perfectly acceptable for the speaker’s purposes. Maybe it’s my upper frequency hearing deteriorated over the years, but I just don’t think the very minor treble attenuation is anything to lose sleep over. I’d rather leave the existing layer of foam in place for protection for the speaker cones. Did you go ahead and do the mod? If so, what do you think of it? Thanks for the kind comments, I will certainly give that mod a go. In the past, I’ve primarily used the Goal Zero speaker with my iPod Touch which I change the EQ to compensate. I must say, those speakers are quite handy. The mod may make RFI Musique sound even that much better! Thanks again!